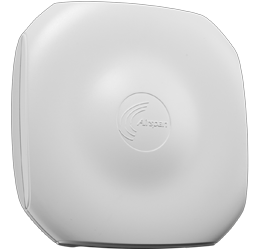 AirVelocity is a revolutionary indoor, high performance, LTE-Advanced, and Wi-Fi small cell, designed to bring Public Access LTE networks to indoor spaces. AirVelocity reduces the indoor mobile notspots and creates much greater indoor coverage for the end user. The high performance and high power LTE-Advanced radio interface of AirVelocity means that it can provide LTE services to greater than 100 users per eNodeB and networks or clusters of AirVelocity eNodes can deliver LTE capacity and coverage to the most densely populated deployment scenario. AirVelocity supports the latest Release Feature Sets (SW upgradeable) that include support for SON and eICIC which enables N=1 frequency re-use with outdoor Macro and Pico cells. AirVelocity can be deployed using enterprise broadband connections or with an optional integrated LTE UE Relay wireless backhaul solution. Plug-n-Play (PnP), is crucial for supporting rapid small-cell deployment. Small form factor and modern design suitable for the modern environment. Integrated AC/DC converter simplifies installations. AirVelocity has a high TX output power which increases coverage. 1588v2, Clock-over-GPON, GPS, network listening and SyncE.